Vritti i-Media has stepped up its plans for aggressive growth and expansion in the country by now taking its entire groundbreaking basket of offerings to north and south India. As a subset of Vritti Solutions Limited, a pioneering software solutions company, it was only natural that Vritti i-Media would introduce cutting-edge, real-time, broadcasting technology to the bus services. Vritti i-Media has embarked on an ambitious mission to bring its expertise to new markets, while expanding its advertising client-base. In this vein, the company is making its presence felt in the states of Punjab and Karnataka. This move resonates with Vritti i-Media’s long-term plan of rapidly expanding across India by strengthening its presence in 101 locations in West India, 43 in South and 12 in North India. The surprise element in a Digital OOH ad campaign is a must! Mr.Veerendra Jamadade shares his views on the future of OOH media in India. He also shares vritti’s plans in the years to come. Rural markets have grown to be a bigger market for every category of business in India. It’s no surprise that the India n rural marketshave become the center of attention for every product or service eyeing the Indian market. While the rural consumer is ready to dissect the billion dollar opportunity, companies are in process of modifying their products and services to suit the needs of this class of consumers.The consumer spending in rural areas has taken a drastic hike giving enough growth opportunities to small and mid-sized businesses. SMEsoperating at a local level can make best of the changing market scenario as they understand the market better compared to the giant competitors. For instance, in case of the consumer products category, it has been observed that consumption of such products has increased radically in rural areas. This has resulted in a surge of multi -national FMCG brands like HUL and P&G spending more time and resources in understanding the rural markets and enhancing their distribution networks in such areas. On the contrary, mid-sized FMCG companies who have a wider presence in rural areas can make best of the opportunity by creating an effective presence of their brand. 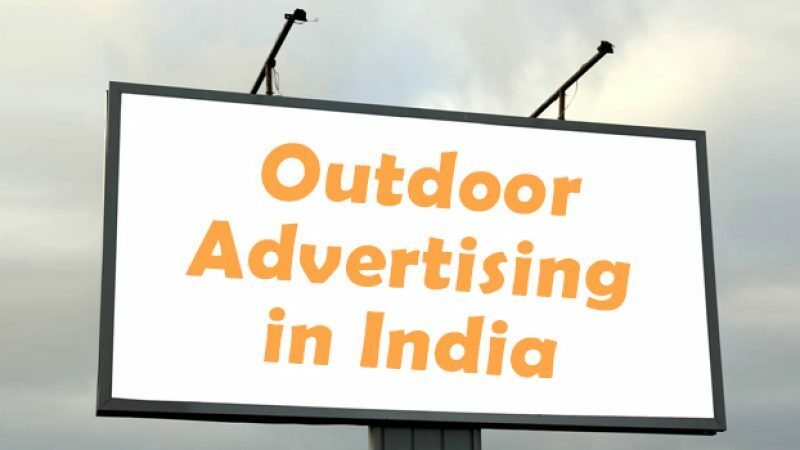 Along with strengthening the local distribution network, companies also need to lay focus on a robust advertising plan to have better recognition of their brands amongst the consumers as compared to the established brands.Advertising plays a vital role in establishing a brand amongst the target audience. It has played a vital role in transforming mere products or services into brands. Branding and advertising are essentials for any SME to grow big. However, SMEs face a significant challenge of limited budgets and resources. In such a scenario, cost effective advertising is what can ease the problem of SMEs. Vritti i-Media, a next generation advertising solution provider in Maharashtra has come up with innovative audio advertising solution for advertisers. Vritti i-Media has partnered with Maharashtra State Road Transport Corporation (MSRTC) to run audio advertisements at various district bus terminals. They have been appointed as the Sole Authorized Agency by MSRTC to run commercial audio advertisements that are played along with the Buses’ arrival/departure announcements. Thus ensuring 100% compulsory listening for small towns and rural market consumers who travel frequently in MSRTC Buses. Since the advertisements are aired through centralized web server, Vritti i-Media has been able to connect with consumers in the most remote villages of Maharashtra. The audio network of Vritti i-Media is currently spread across 80+ locations of MSRTC bus stands covering key centers, investor hubs, all districts, important taluka places and pilgrim centres in Maharashtra. Vritti i-Media assures wider reach for SMEs in cost effective budgets. This innovative concept of audio advertising solution has also won 2 Gold and 1 silver awards at the Outdoor Advertising Awards, 2011. Gold Award for most coveted “Media owner for western region”, Gold Award for “Best Transit Media and Silver” Award for the Best Format Innovation – New Media category. Vritti i-Media has been responsible for making various brands a house hold name in rural and semi urban areas of Maharashtra. SMEs like Kirti Gold, Maharashtra K knowledge Corporation, Gujarat Tea traders – Vikram Tea, Pitambari, Kalnirnay publications and many more have been successful in building a brand name in rural and semi-urban parts of Maharashtra with the help of Vritti’s advertising network. The article is authored by Mr. Rajesh Radhakrishnan, Head-Marketing, Vritti i-Media on the official India Mart Blog. The agricultural department of the Maharashtra Government has set up an agro advisory feed at Maharashtra State Road Transport Corporation (MSRTC) bus stands with the objective of providing expert agricultural advice to farmers in Maharashtra public address system at the stands. This initiative has been started with the aim of keeping the local farmers up to date with the latest in farming techniques and to increase their awareness about agriculture. The initiative is conducted across all parts of Maharashtra excluding Mumbai. MSRTC buses are the chief mode of transport for farmers in rural Maharashtra, thus forming important junctions for communicating information. The agro advisories by agricultural universities and the meteorology department are broadcasted through Vritti’s audio network along with the announcement of bus timings at regular intervals. Experts share advice about quality of seeds and probable quality of production in the coming harvest season, information about market prices, seasonal crops, using fertilizers and hybrid seeds. In order to increase financial stability, farmers are also informed about various beneficial government plans, its application process and the advantages reaped out of them. This initiative of the Government has received an overwhelming response in a short period of time. The farmers have reaped the benefits of this initiative at no cost while travelling to their destinations.